Here is a set of cabinets in a Family Room in a home in Mendocino. The frames are Hard Maple and the panels are solid Cherry. 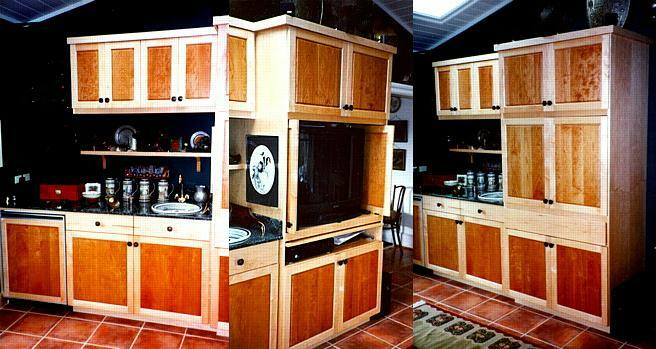 The cabinet houses a surround sound system and a "pullout" swiveling TV and flipper doors.